Want a high-performing revolver-style airgun that looks great to boot? 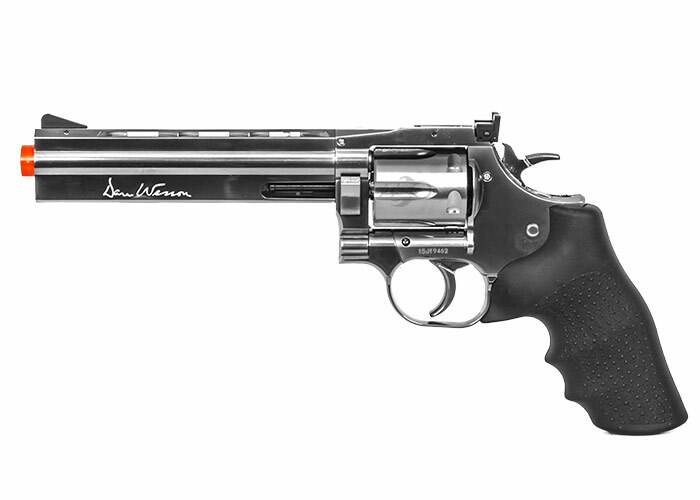 The ASG Dan Wesson 6" Co2 .177 BB Revolver Airgun (Silver) is the perfect product for you. 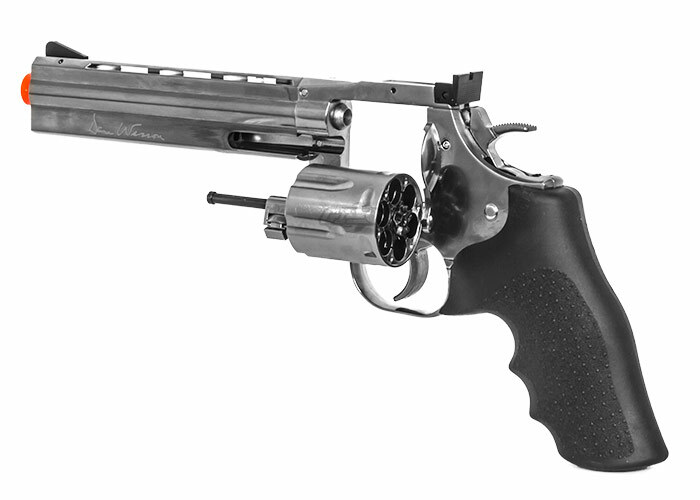 Designed and manufactured by the ActionSportGames, one of the industry's top names in airguns, this functional and feature-loaded BB revolver will impress with its clockwork-like precision engineering, perfect grip and solid feel. 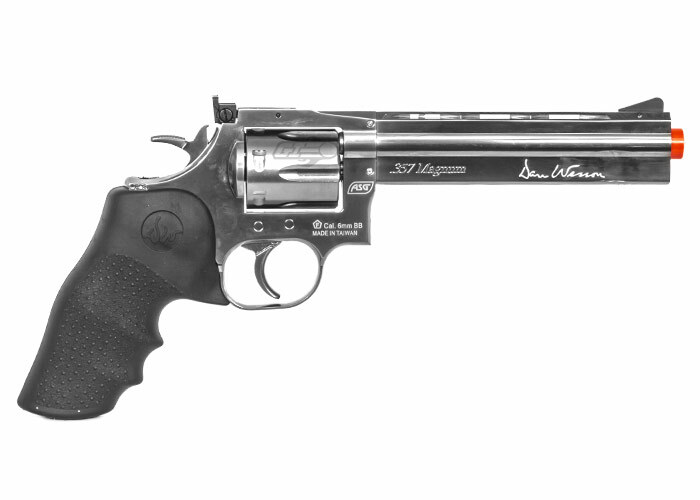 From the one-piece 6-inch heavy barrel, complete with vent rib with threading for mounting accessories, to the imitation-Hogue rubber grip, this airgun feels and fires just like a real Dan Wesson revolver. 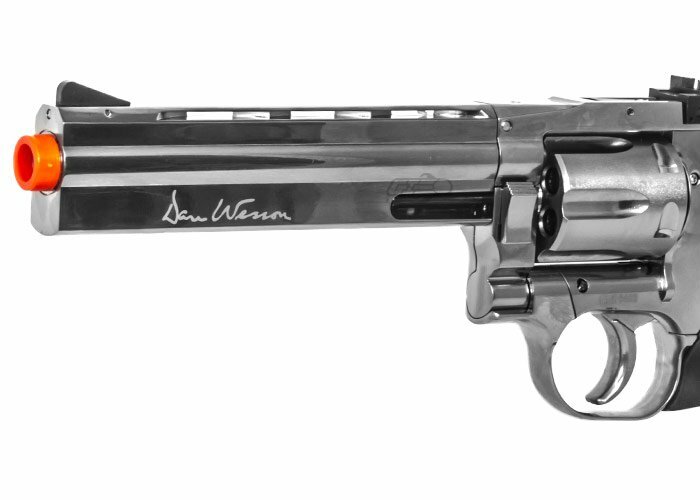 With firing velocities reaching 430fps and a solid build that will last lifetime, the ASG Dan Wesson 6" Co2 .177 BB Revolver Airgun stands out as one of the finest built airguns on the market. 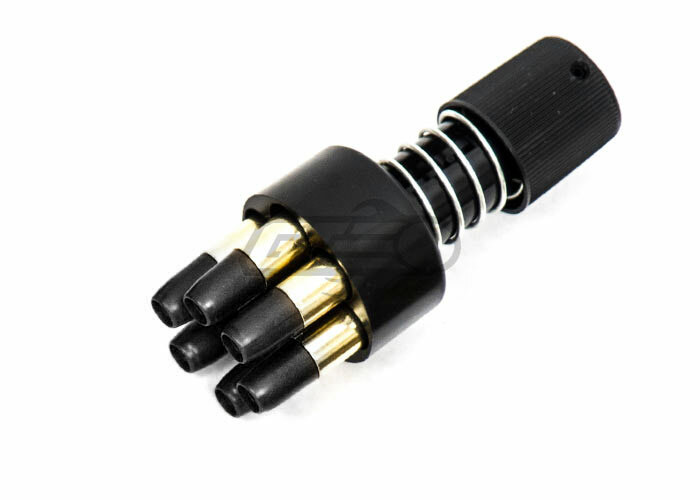 Use yours for target practice on the range or guarding against pests on your property - the possibilities are limitless. 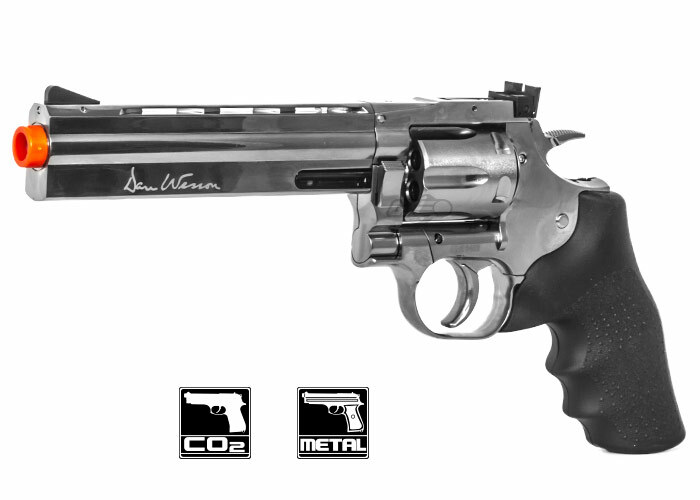 Order the high-performing and beautifully-crafted ASG Dan Wesson 6" Co2 .177 BB Revolver Airgun here at Airsoft GI, your trusted source for Dan Wesson revolver parts and more.